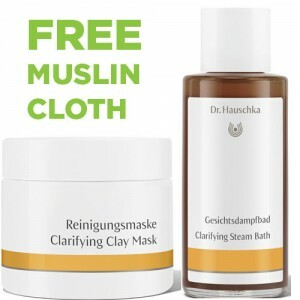 Soothes and conceals, giving clarifying care to blemished skin. 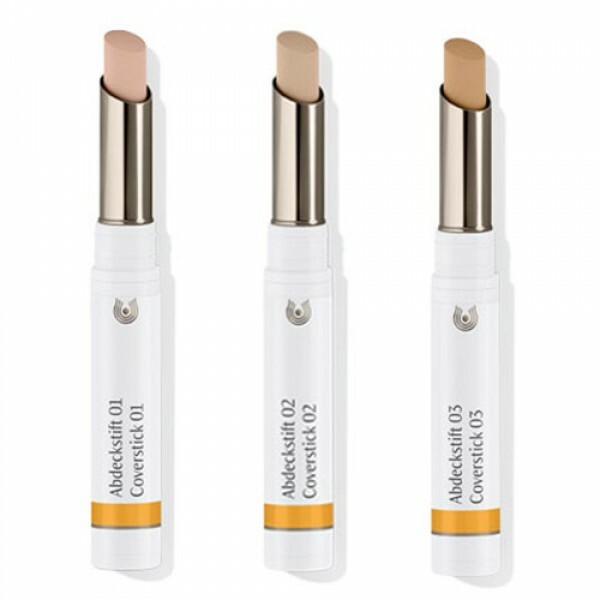 Dr Haushka cover stick covers spots and blemishes effectively. It's antibacterial formula clarifies and harmonises the skin while natural waxes help to prevent dryness. Suitable for use on the occasional spot or to help you conceal acne skin conditions. Available in a choice of 3 shades to suit different skin tones. Pure Care Cover Sticks both disguise and help to heal skin imperfections. 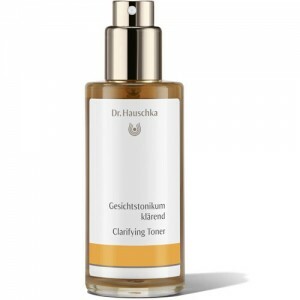 Anthyllis and Calendula assist the skin's healing processes. 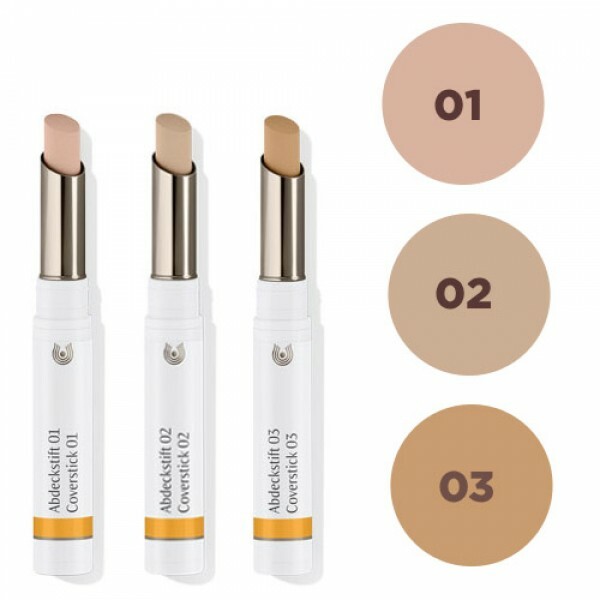 Colours: 01 Natural with pink undertones, 02 Beige with yellow undertones, 03 Sand for darker olive complexions. My cover stick is amazing. Smelling clean and antiseptic it glides on blissfully and blends evenly over the lumpiest of bumps and hides any redness whilst purifying the area during the day. It remains even on my oily skin and doesn't tint to a nasty orange as some can do over time. Love it! I love this product, have suffered with small amounts of adult acne for years, this not only covers the horrid heads it drys the spot out in a couple of hours and stops scaring! Simmondsia Chinensis (Jojoba) Seed Oil, Olea Europaea (Olive) Fruit Oil, Manihot Utilissima (Tapioca) Starch, Ricinus Communis (Castor) Seed Oil, Beeswax/Cera Flava, Lanolin, Elaeis Guineensis (Palm) Oil, Euphorbia Cerifera (Candelilla) Wax, Copernicia Cerifera (Carnauba) Wax, Rosa Damascena Extract, Daucus Carota Sativa (Carrot) Root Extract, Fragrance/Parfum*, Limonene, Linalool, Geraniol, Citral, Anthyllis Vulneraria Extract, Calendula Officinalis Flower Extract, Prunus Armeniaca (Apricot) Kernel Oil, Tocopherol, Melaleuca Alternifolia (Tea Tree) Leaf Oil, Leptospermum Scoparium Oil, Ascorbyl Dipalmitate, Iron Oxide/CI 77491, Iron Oxide/CI 77492, Iron Oxide/CI 77499, Titanium Dioxide/CI 77891, Ultramarines/CI 77007, Zinc Oxide/CI 77947. 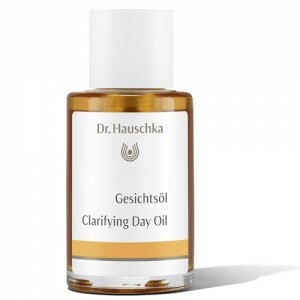 *purely from essential oils and plant extracts - does not contain synthetic fragrance. Use at the first signs of a breakout . Apply to the affected area and blend into the skin and follow with Translucent Make-up and Translucent Face Powder to give a flawless finish. The Green Beauty Bible Scored: 6.78/10 "Blended well and disguised dry up spots" & "Shiny initially but looked good under foundation".